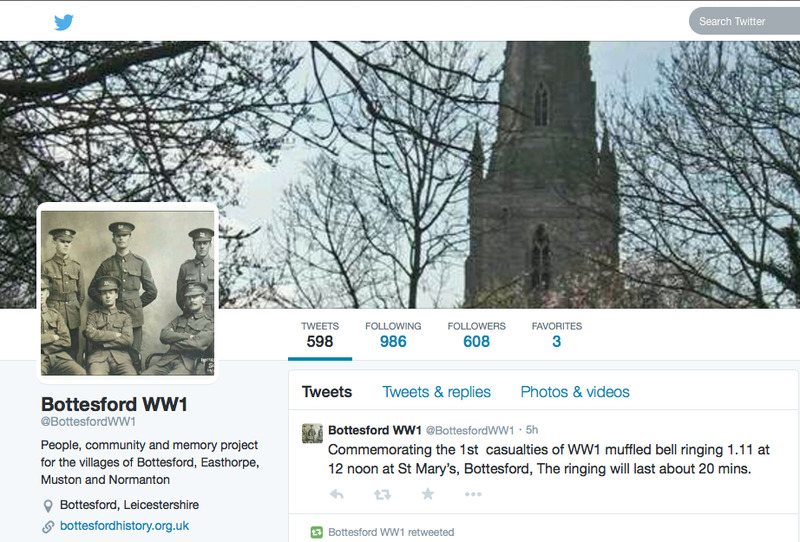 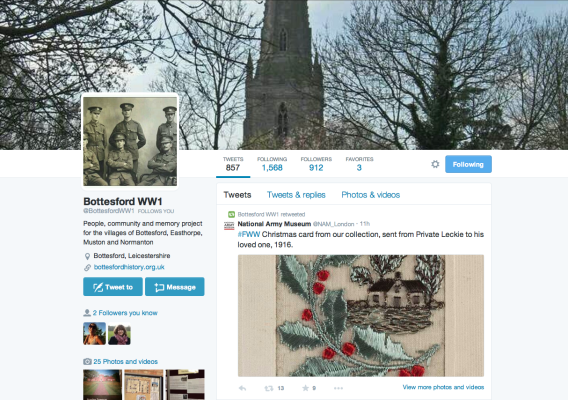 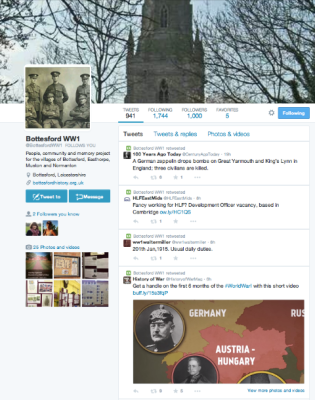 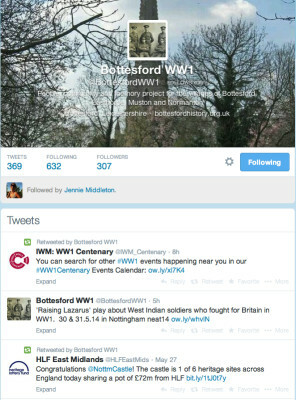 The @BottesfordWW1 Twitter page has attracted over 1000 followers in just over 11 months. Thanks to Susan Meech for all her effort in developing the project’s Twitter and Facebook (BottesfordWW1Centenary) pages. This page was added on 28/05/2014.